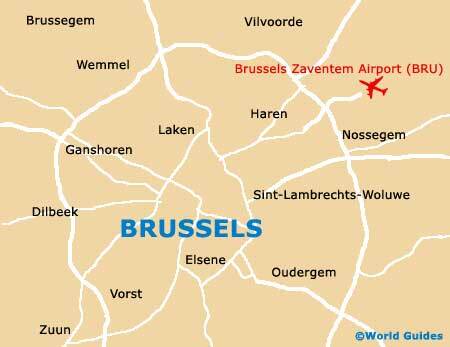 The city centre and Bruxelles district is where it all happens in Brussels and this whole region is overflowing with things to see, do and enjoy. On the lower side of Bruxelles, the Grote Markt (Grand Place) is reputedly the most beautiful public square in the whole of Europe and contains a long esplanade, while close by are many charming neighbourhoods, filled with history and waiting to be explored. Take a walk along the Avenue Louise, the city's famous shopping street, or visit the lively district of De Broukère, where a range of entertainment venues and seafood restaurants are available. 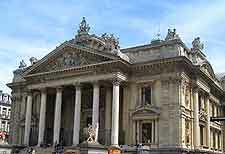 Other notable districts and neighbourhoods in Brussels include Anderlecht, which even features an actual ski piste, where it is possible to practice skiing or snowboarding before venturing into the actual mountains, and the Ixelles-Elsene, an especially peaceful place to escape and home to the woodlands of Bois de la Cambre. 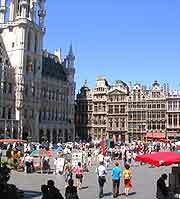 A major attraction in the district of Bruxelles, the Grote Markt is lined by glorious buildings with elaborate Flemish and Renaissance-style architecture. Many bars surround the Brussels Grote Markt and regularly provide outdoor seating, while the iconic bronze statue of the Manneken Pis is perhaps the city's most photographed sight. If you have the time and fancy a stroll, take a walk along the Brukselbinnenstebuiten, or around the Place d'Espagne, where many outdoor jazz concerts take place during the summer season. Pay a visit to the Anderlecht neighbourhood to enjoy a rich culture, many attractive churches and a guided tour of the Brouwerij Belle Vue, where the beer of Gueuze-lambic is brewed, Brussels very own traditional beer. Guided tours generally last just over one hour and always end up at the brewery's very own tavern, where you can sample a range of tasty Belgian beers. One of the main entertainment neighbourhoods in Brussels, tourists come to De Broukère to visit the attractions within the famous Red Light District, or to enjoy the sights and sounds at De Broukère's bustling fish market (Vismet), which is based around the Place St. Catherine and close to many top seafood restaurants. 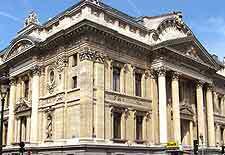 Located on the Palais de la Bourse and one of the most famous landmarks in this part of Brussels is the city's Stock Exchange (La Bourse / De Beurs), a grand late 19th-century building standing at the crossroads leading towards the boulevards. The district of Ixelles-Elsene is known for its lively atmosphere and good selection of eateries. Sited on the southern side of Brussels, Ixelles-Elsene lies next to the neighbourhoods of Chausee d'Ixelles and Matongé, where a thriving African community currently resides. This is a particularly tranquil part of the city and the forest of Bois de la Cambre is a good place to relax, while the 16th-century Abbaye de la Cambre is a further attraction and can be found on the Avenue Emile Duray. Actually considered to be a part of the Bruxelles district and lying close to the very true heart of Brussels, Les Marolles was formerly a world-class area and is perhaps best known for being home to the Palais de Justice, which lies along the Poelaertplein and was built at the request of King Leopold II. The Marollen district also contains a good selection of shops, particularly around the Avenue Louise and the Rue de la Regence, while for the best bargains, head to the central square of the Place du Jeu de Balle for its huge weekend flea market. 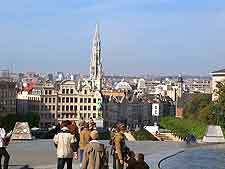 A vibrant part of Brussels and famed for its strong bohemian character, many different local communities reside within the St. Gilles district. The Parvis de St. Gilles area is a particular highlight and also goes by the name of St. Gillisvoorplein. Close by, the neighbourhood surrounding the Church of the Holy Trinity has become an especially trendy spot in recent years and now contains a number of lively bars.